Apple Has Gotten Federal Orders To Help Unlock At Least 13 Devices : The Two-Way Citing cases in New York, Illinois and elsewhere, Apple says it has received — and resisted — federal orders to access data on iPhones and an iPad in recent months. Court documents show that Apple has received federal requests to help unlock more than a dozen devices. While the dispute over cracking into an iPhone used by the San Bernardino shooter is at the center of a legal case between Apple and the FBI, the company recently told a federal court that it has received — and resisted — similar orders to help unlock iPhones and an iPad in recent months. That's according to unsealed court documents in which Apple says that since early October, it has received orders to access data on 12 devices, from an iPhone 3 to two iPhone 6 Plus models. In the documents, the Department of Justice says the list is correct — and adds that it found "at least one additional All Writs Act order" for obtaining information from an iPhone. News of the court filings comes ahead of Friday's deadline for Apple to formally respond to a federal court order in the San Bernardino investigation. Wednesday, Theodore J. Boutrous Jr., a prominent First Amendment lawyer who is a lead attorney for Apple in the case, told The Associated Press that the company will tell the judge that the issue should be decided by Congress, not by the courts. "The FBI is relying on a law called the All Writs Act from 1789 that's been used to compel companies to assist law enforcement in investigations," NPR's Alina Selyukh reports for our Newscast unit. "And Boutrous told the AP that Apple also plans to argue that that law has never been used to require a company to write software." In the court document, Apple says the requests for it to help get inside the devices came from U.S. attorneys' offices in a range of districts, including New York, Illinois, Massachusetts and California. The company has said that complying with such orders would require it to create a software tool that could make millions of iPhones vulnerable to invasions of users' privacy. An attorney for the tech company, Marc Zwillinger, submitted the list of such government orders on Feb. 17. It was in response to a request from a federal court in New York that was weighing a similar dispute over an iPhone in a drug case. The government responded on Monday, and Apple's list was unsealed Tuesday. The New York court's request covers a specific time span; in a footnote in its filing, Apple says that shortly before that period, it also received three other orders: two in Ohio on Sept. 24, and one in Illinois on Oct. 6. While four of the federal orders listed by Apple predate the Dec. 2 attack in San Bernardino, Calif., the company's objections to them didn't begin until Dec. 9, according to Apple's filing. In that filing to the New York judge, Zwillinger also cites the ongoing case in California, where a federal court has ordered Apple to comply with an FBI request to defeat the password protection of an iPhone 5C recovered in the aftermath of the violence carried out by Syed Rizwan Farook and his wife, Tashfeen Malik. "The attached order directs Apple to perform even more burdensome and involved engineering than that sought in the case currently before this Court — i.e., to create and load Apple-signed software onto the subject iPhone device to circumvent the security and anti-tampering features of the device in order to enable the government to hack the passcode to obtain access to the protected data contained therein." 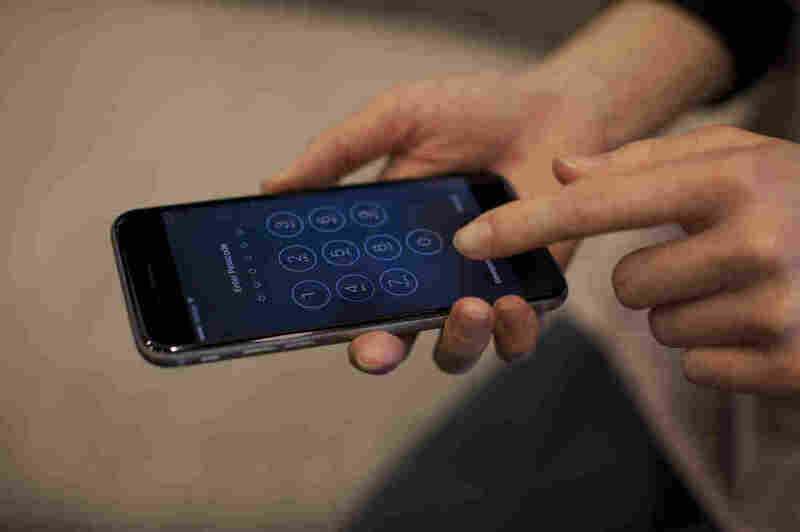 The case has sparked a public debate over whether Apple or the FBI is in the right. This week, FBI Director James Comey urged both "a deep breath" and a conversation about technology, privacy and security. Apple says it wants the FBI to withdraw its demand for help opening the phone — and for the government to form a commission on "intelligence, technology and civil liberties" that would discuss the needs of law enforcement, national security and personal privacy.